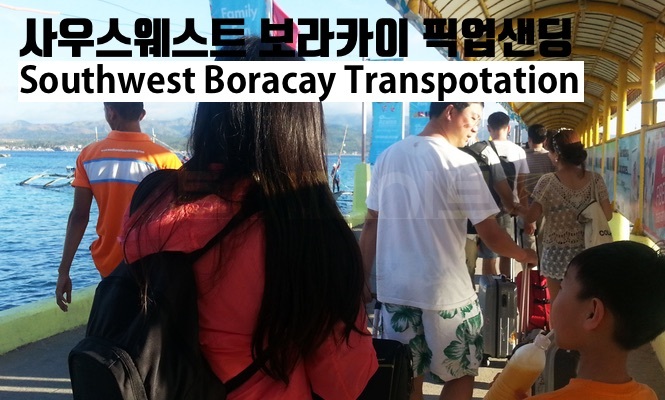 To see Boracay's White Beach, one of the three largest beaches in the world, you need to move from Kalibo Airport to Boracay Island. But the steps are so complicated that it is too uncomfortable to move individually and personally. 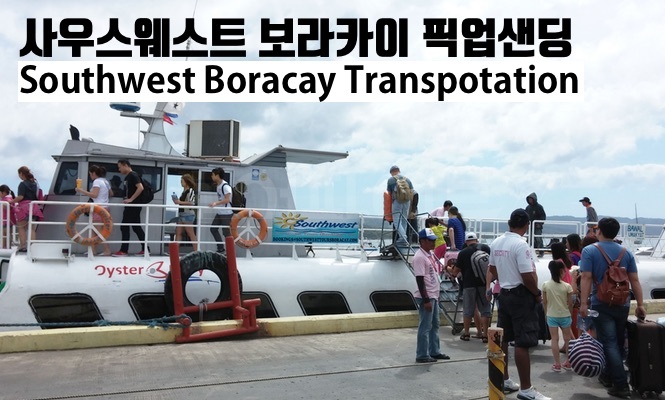 Individual passengers must pay directly to the bus, boat or tricycle. The price is expensive, and it takes more time. You are using a pickup service. We can help you with ticketing and procedures. 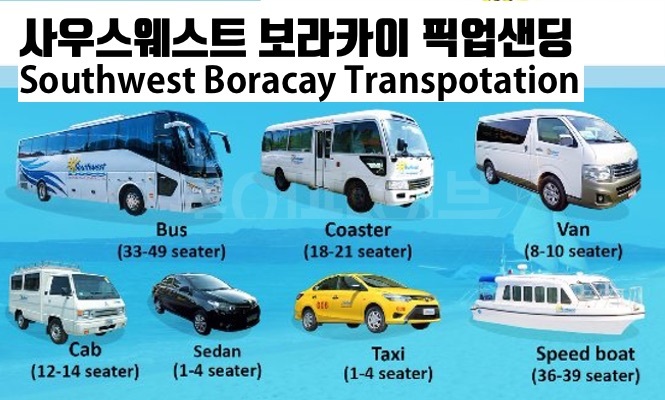 Conversely, we are taking you safely to the Kalibo airport from your Boracay hotel . 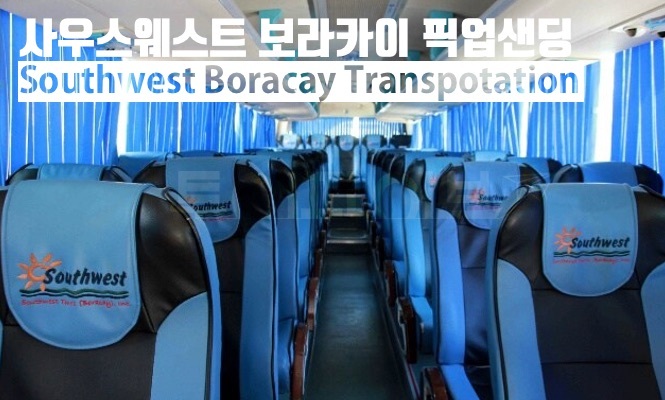 We will make our journey more convenient. 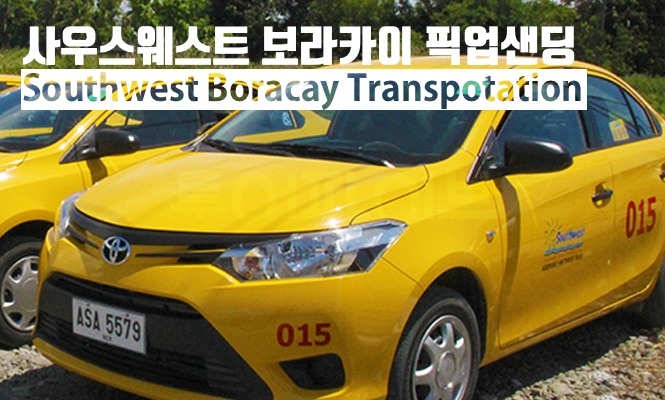 24-hour pick-up service for flights departing from Kalibo / Caticlan airport. 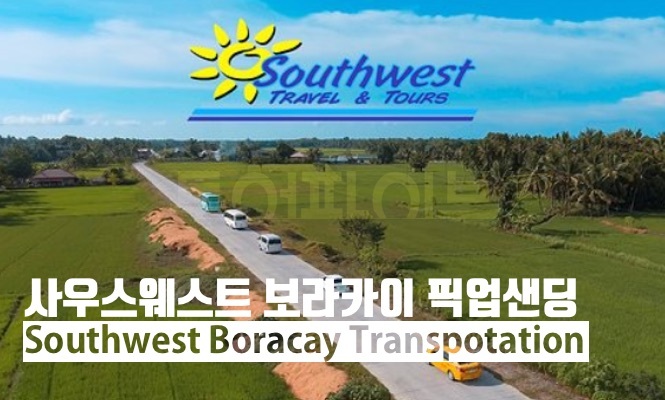 - Find your luggage and go to the Southwest booth at the port of entry . - If you see an employee wearing an orange Polo T-shirt, you can present the voucher you received via email. 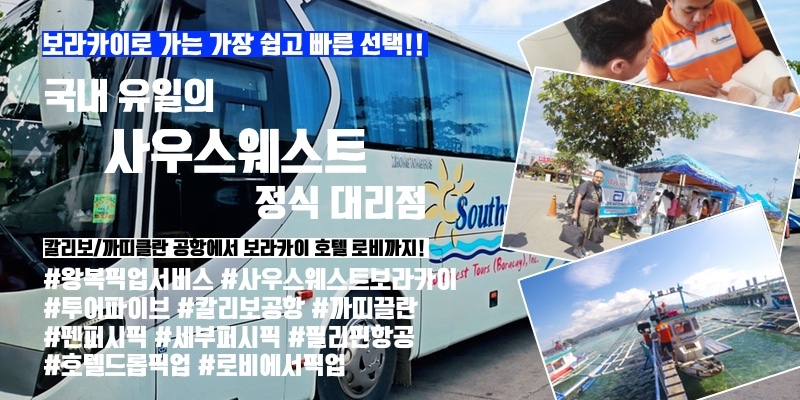 - After you receive the sticker with the destination, the port tax, and the boat ticket, you can go to the car under the supervision of the staff of the Southwest. - You can wait in the hotel lobby for the time and date of sending listed on your voucher . 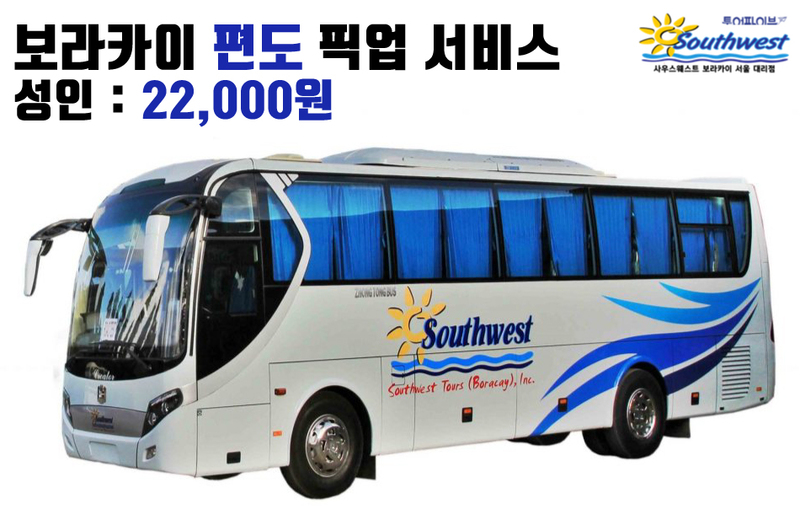 - If you are in the lobby, please inform the front desk of the Southwest pickup service and the hotel staff will arrive with your vehicle. 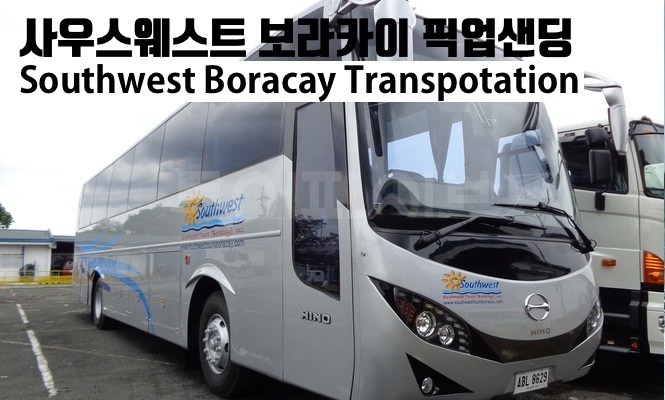 - In order to prepare for any traffic accidents (traffic congestion, vehicle breakdown, traffic accidents, festivals, weather, etc. 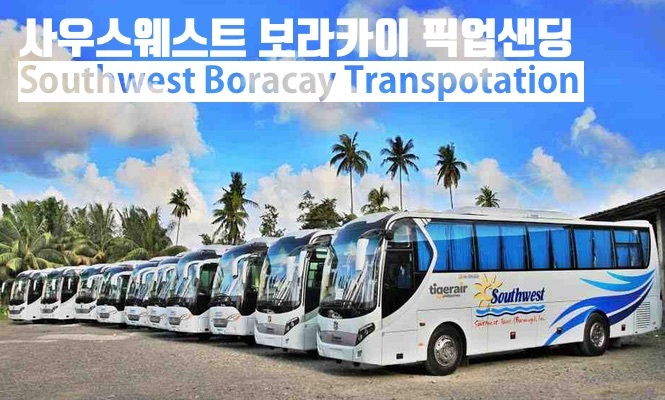 ), the pick up time is 6 hours before departure time. - To change the pickup time, you can go to the homepage and fill out the autograph form. - Due to the nature of moving to a group, we will not wait for you. - If you are late, you may not be able to use it because of no-show processing. 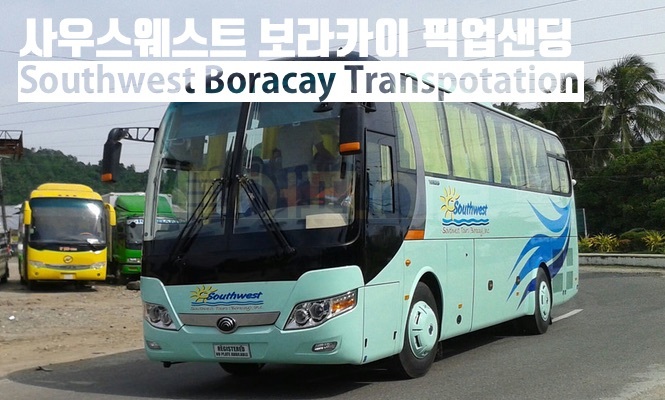 In Southwest Boracay Seoul Agency (Tour Five), you can make quick and easy reservations. If the hotel is different from the hotel on the first day, please write both places. 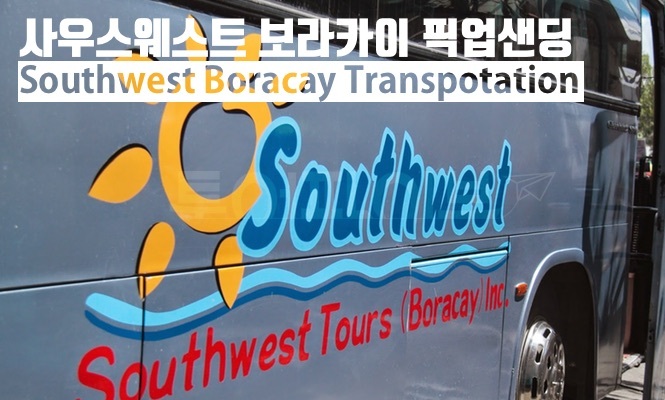 In Southwest Boracay Seoul Agency (Tour Five), you can make quick and easy reservations. 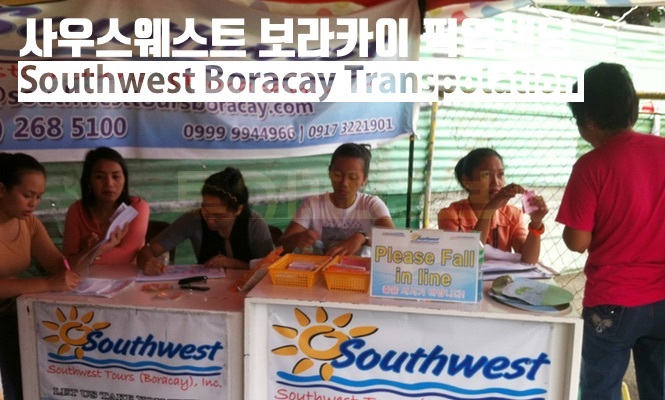 There is no need to wait for your reservation and card payment.